Today the iMac Pro went up for pre-order and Apple has updated Final Cut Pro X and Logic Pro X to go along with it. Final Cut Pro X Adds Support for 8K Video Editing, 360-Degree Video Editing and More. Logic Pro X Adds Support for 36-Core iMac Pro. The iMac Pro is a beastly desktop and Apple is dubbing it as the most powerful Mac it has ever created. And to make use of all that ‘pro’ power, Apple has updated its key set of apps to take full advantage of that hardware. 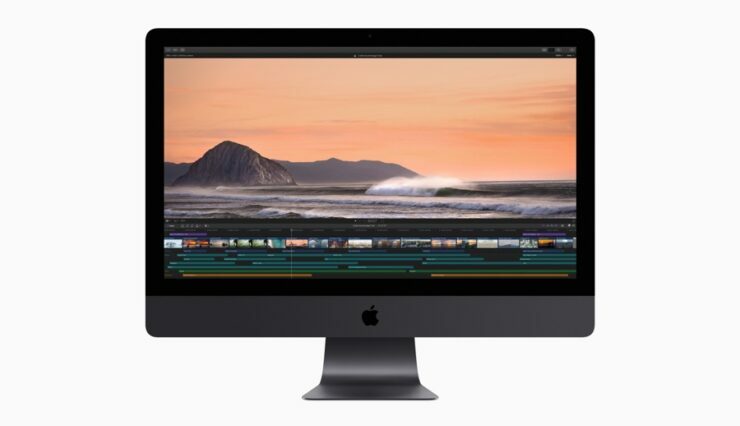 Starting with Final Cut Pro X, Apple’s pro video editing software adds support for 360-degree video along with advanced color grading and 8K video edit support. But that’s not all, Final Cut Pro X now lets you play around with HDR video as well, so you can rest assured that your content will work just fine with displays that support High Dynamic Range. Logic Pro X is Apple’s music editing software, and has added support for the new iMac Pro. Now here comes the interesting part: it can now use up to 36 cores. But wait, the iMac Pro doesn’t have a 36-core configuration which you can buy! Yes, this means that the update has basically been pushed out to add support for Apple’s future hardware with that amount of power. We’re looking at your Mac Pro. Both these software updates are available for free today. But if you are a new user, then you have to pay up $299 for Final Cut Pro X and $199 for Logic Pro X.